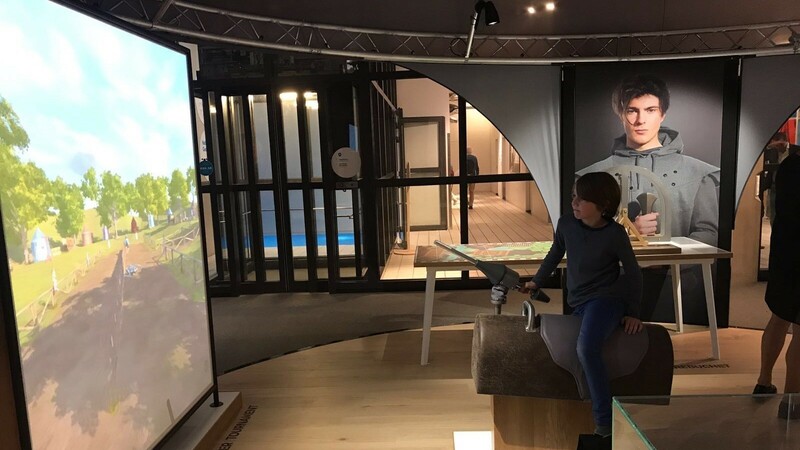 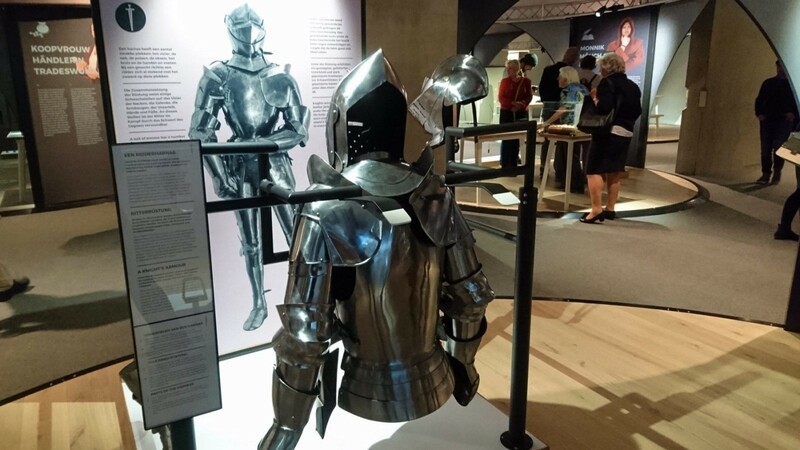 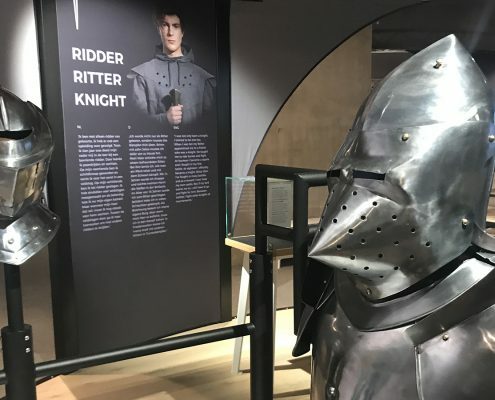 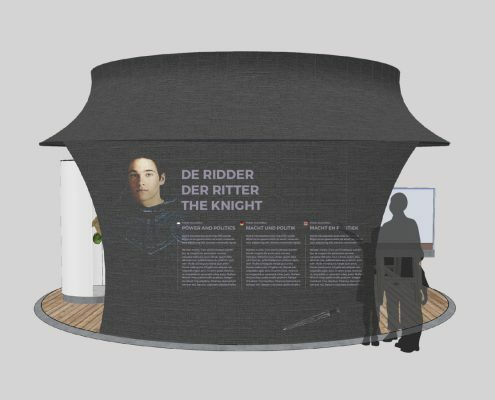 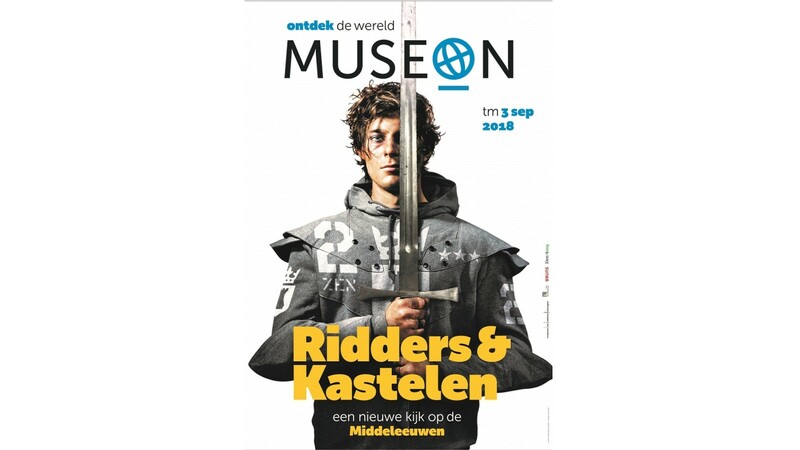 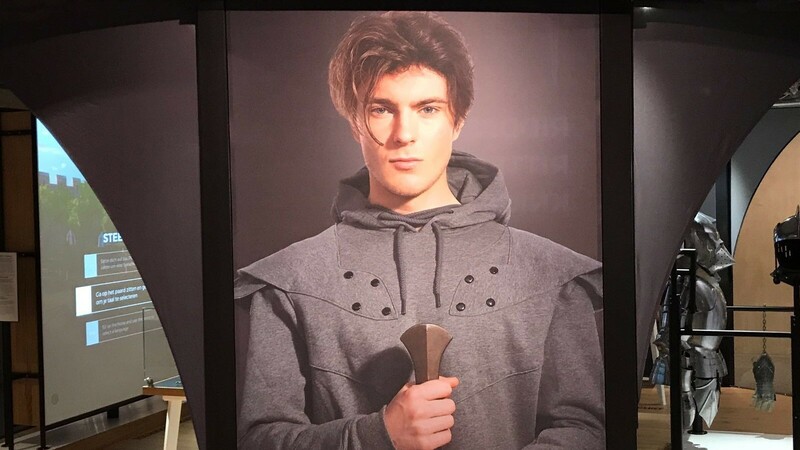 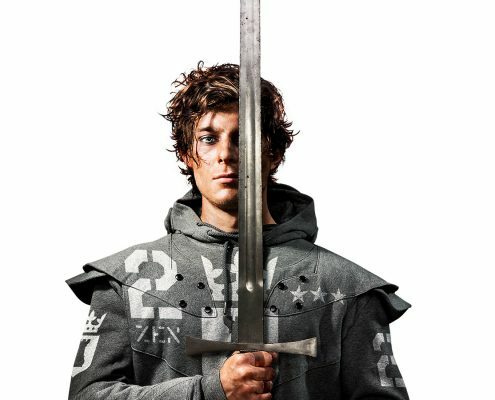 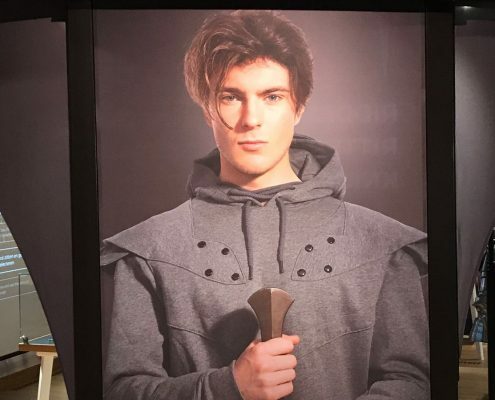 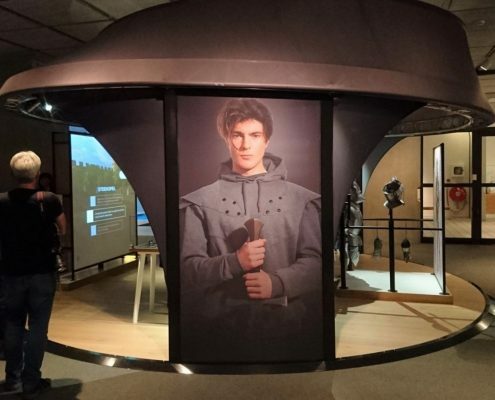 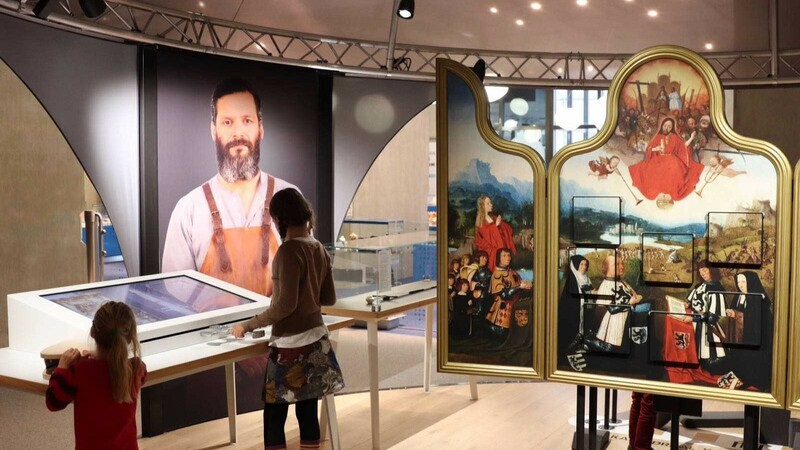 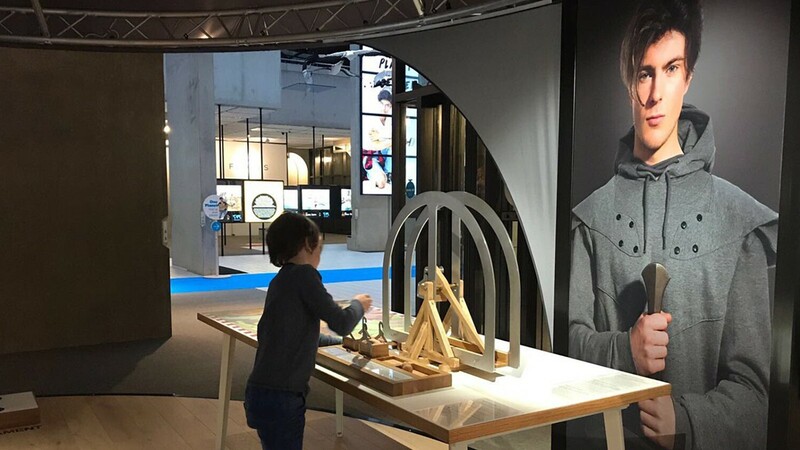 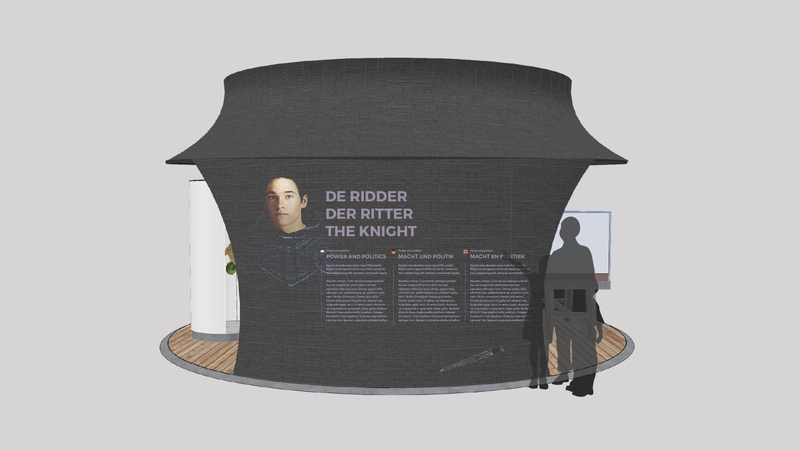 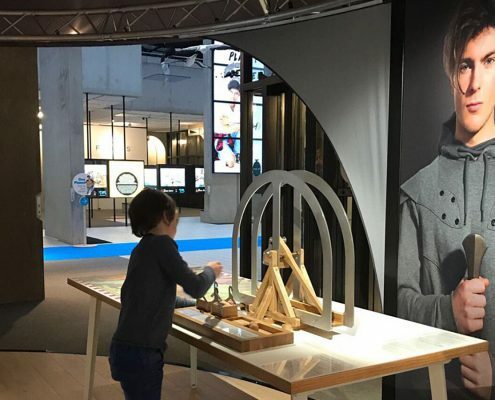 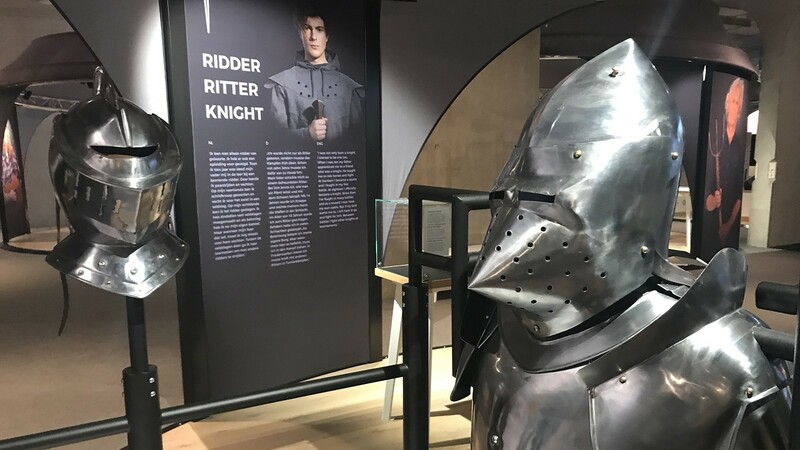 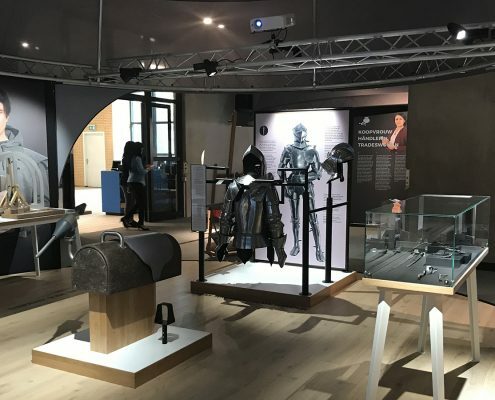 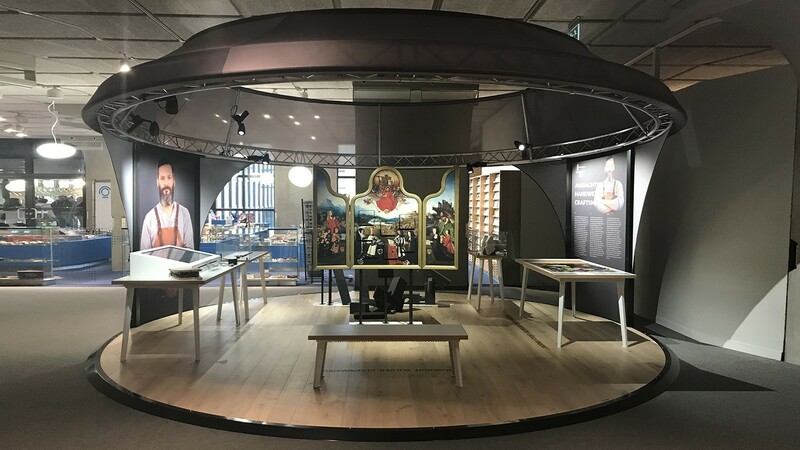 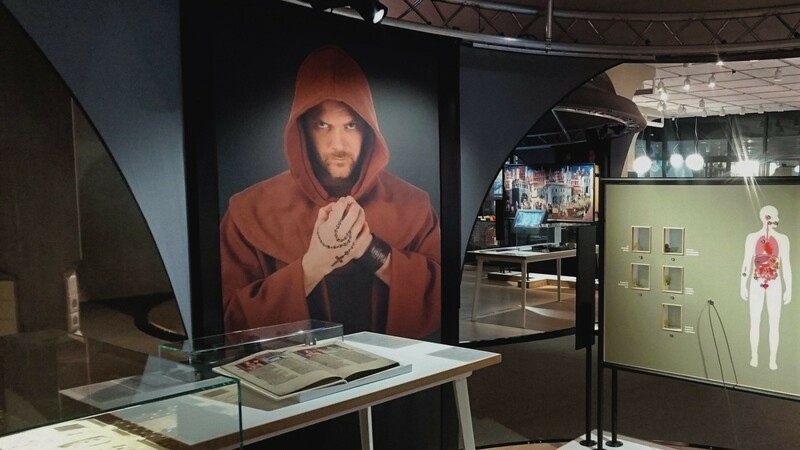 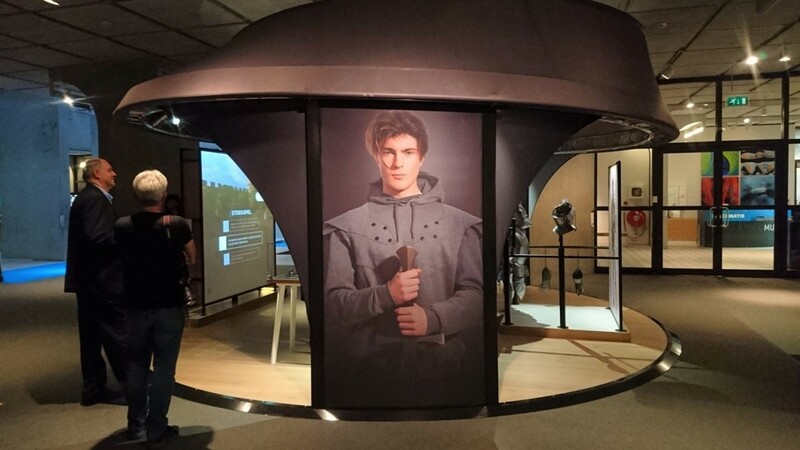 The new travelling exhibition “Knights and Castles”, designed by NorthernLight, takes a new and refreshing look at the Middle Ages. 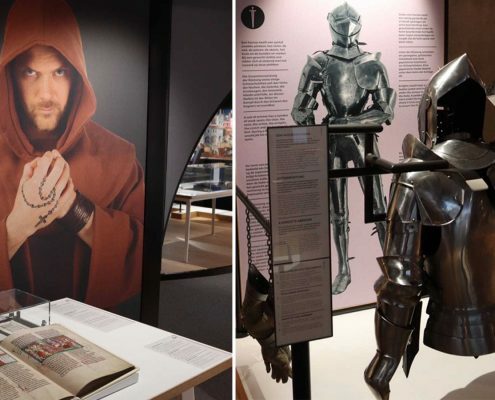 As the exhibition will travel through Europe, it symbolically links the life of people in today’s Europe to their shared medieval history. 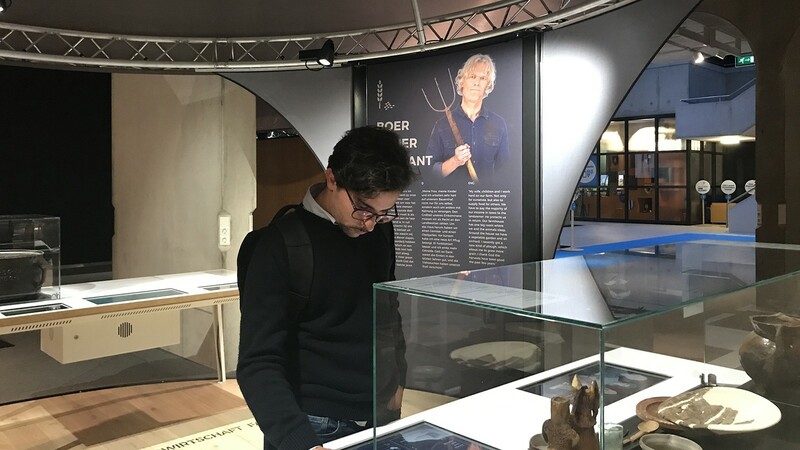 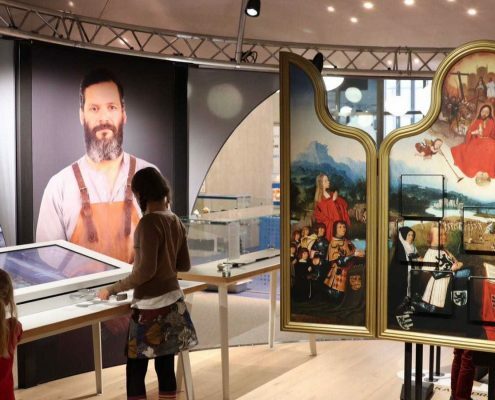 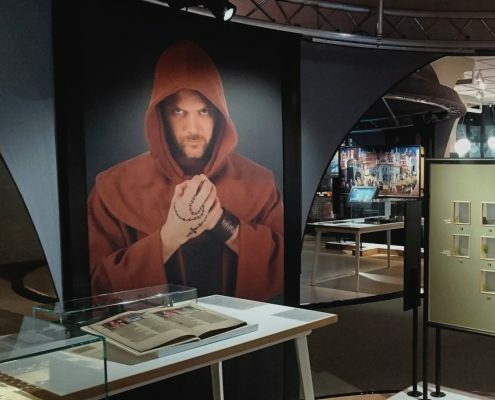 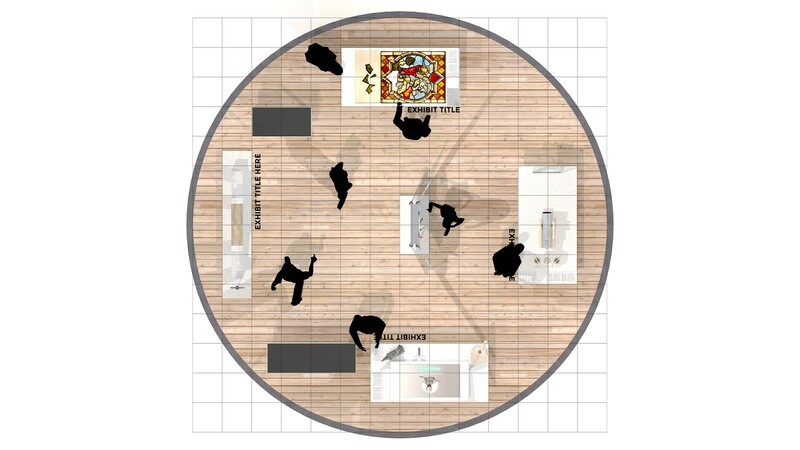 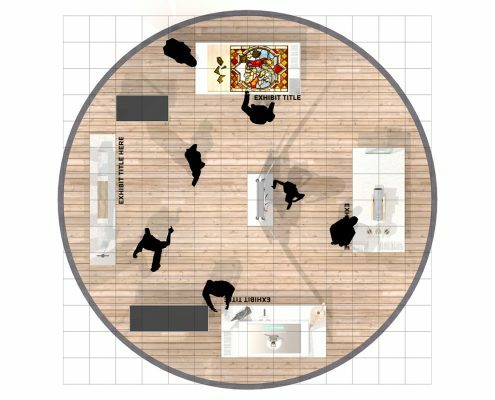 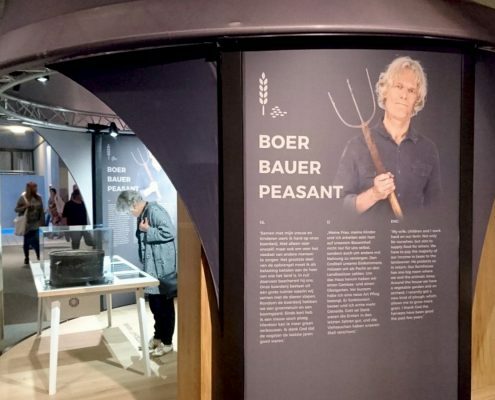 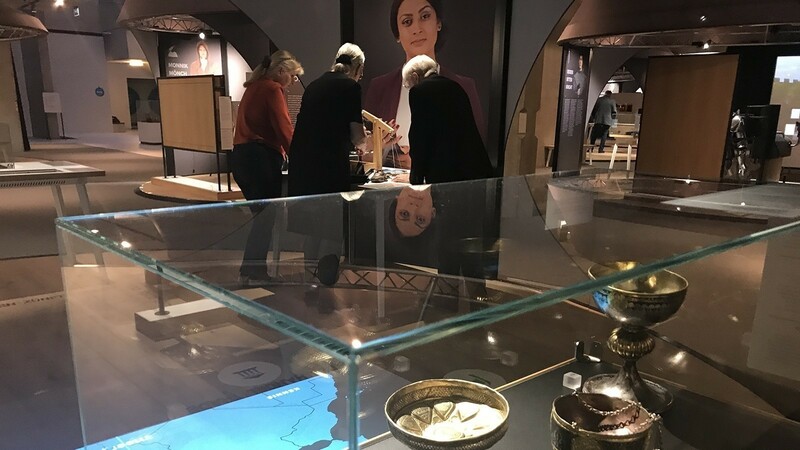 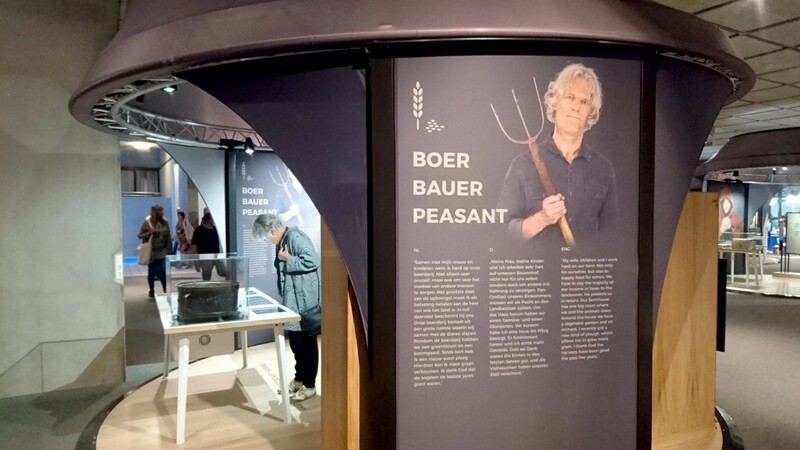 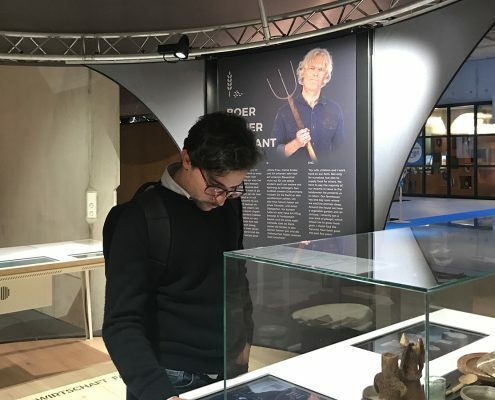 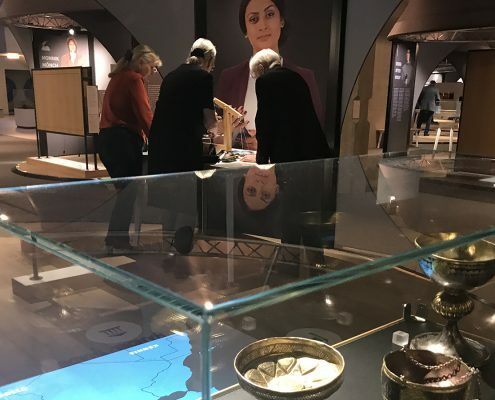 The exhibition has been commissioned by Museon, LVR Landesmuseum Bonn and Valkhof Museum. 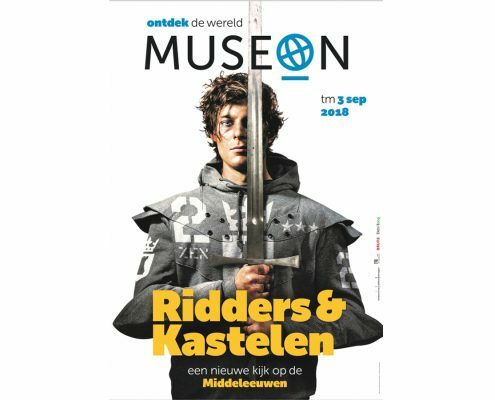 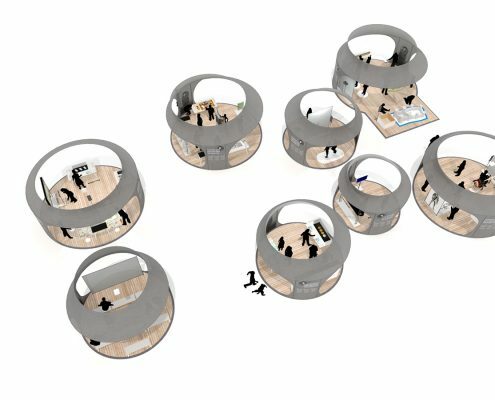 Museon is the first museum to host the exhibition, in the autumn of 2017. 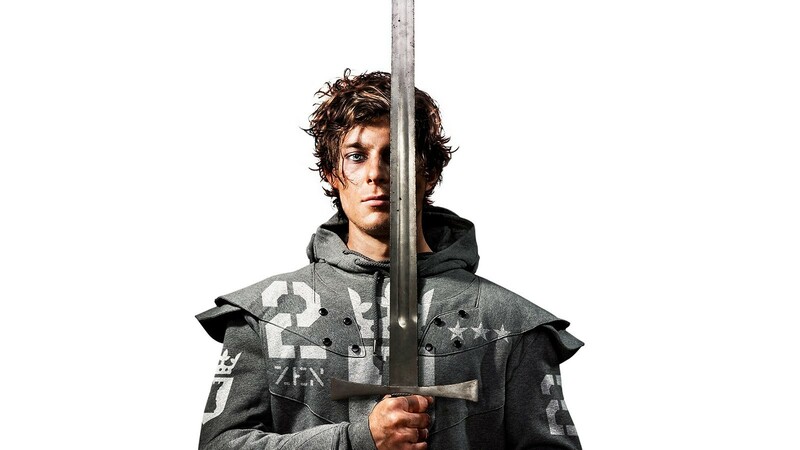 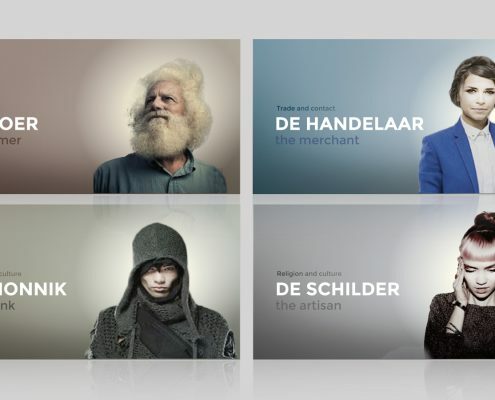 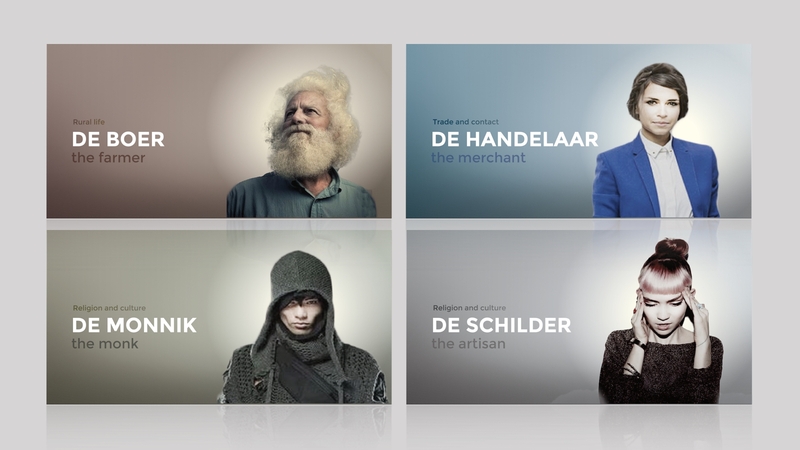 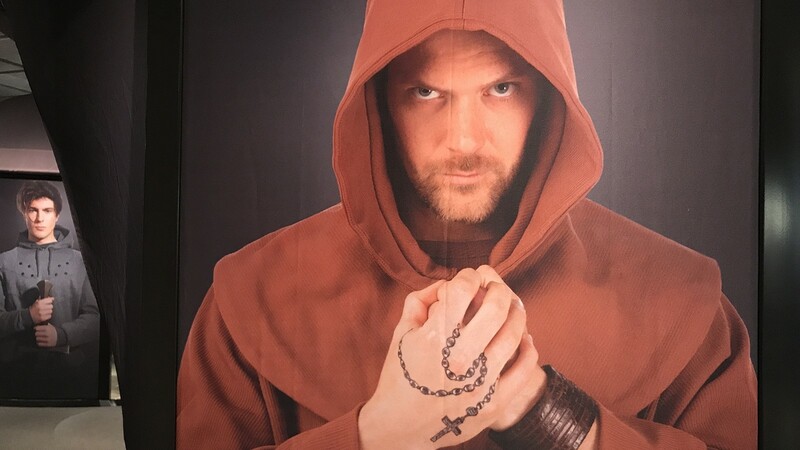 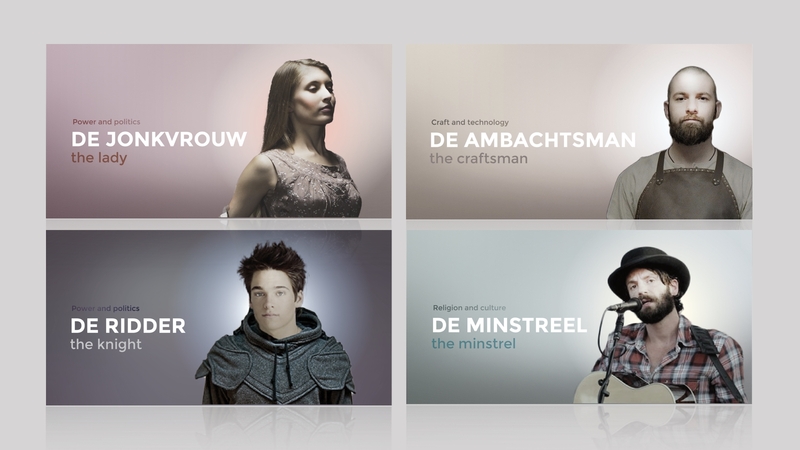 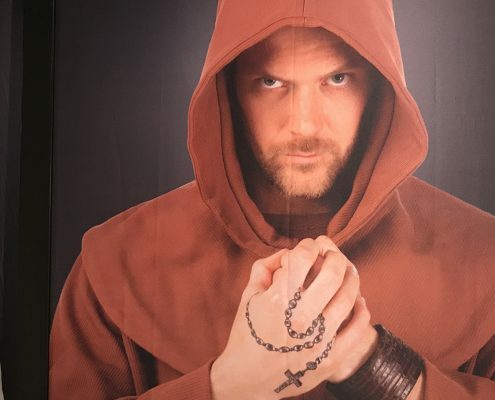 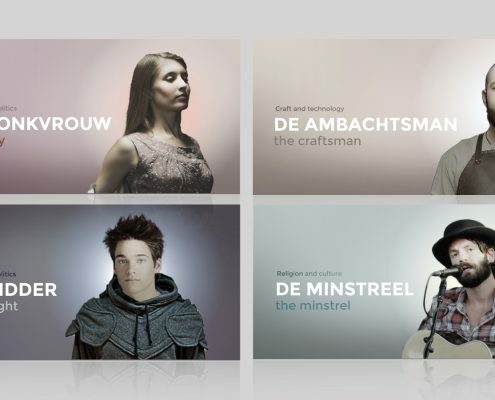 Seven characters, each with a contemporary look, invite you to experience the Middle Ages in a modern way. 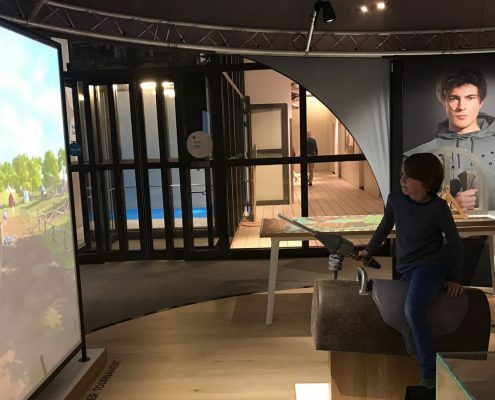 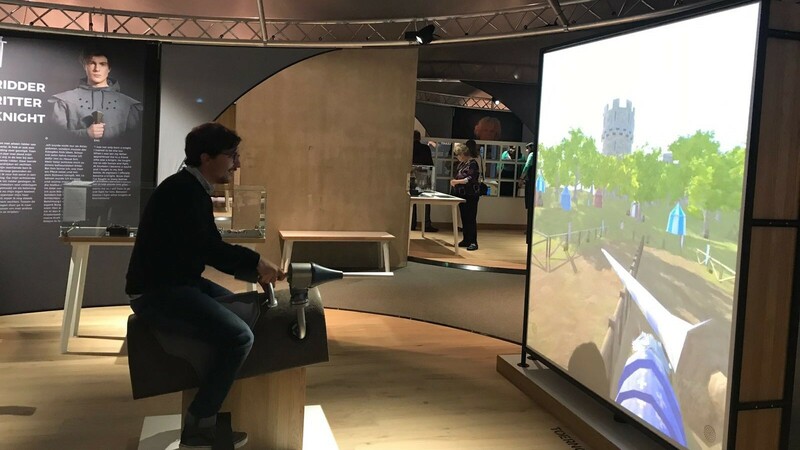 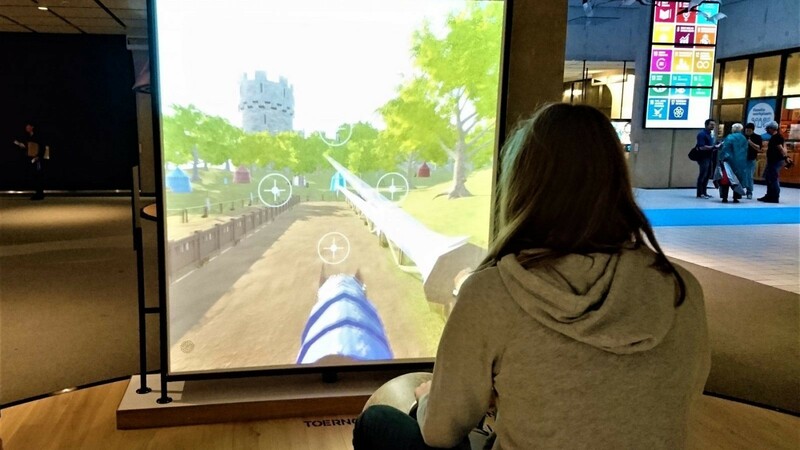 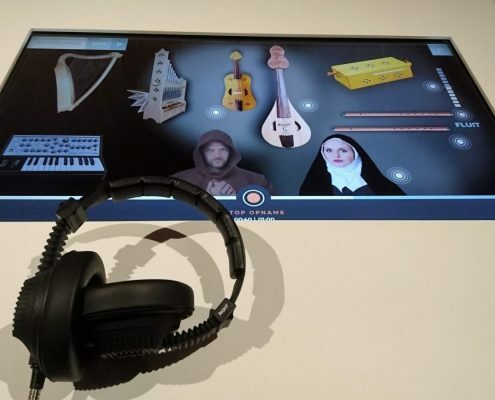 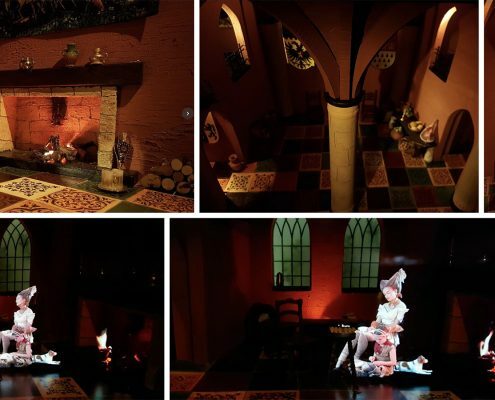 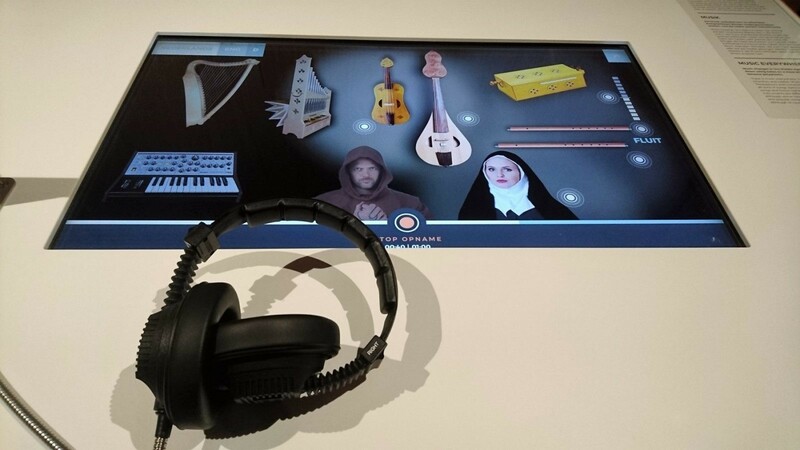 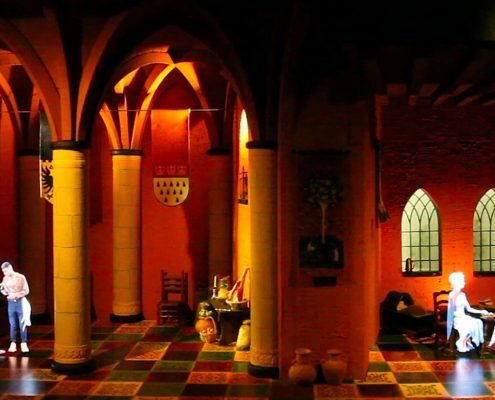 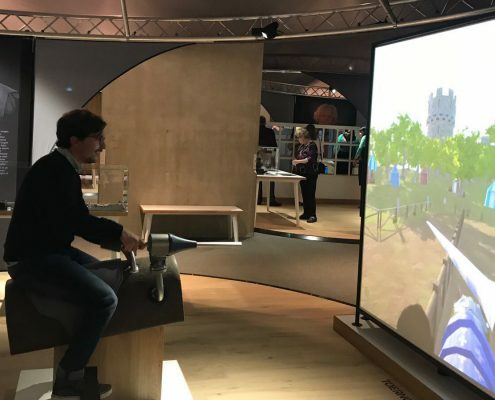 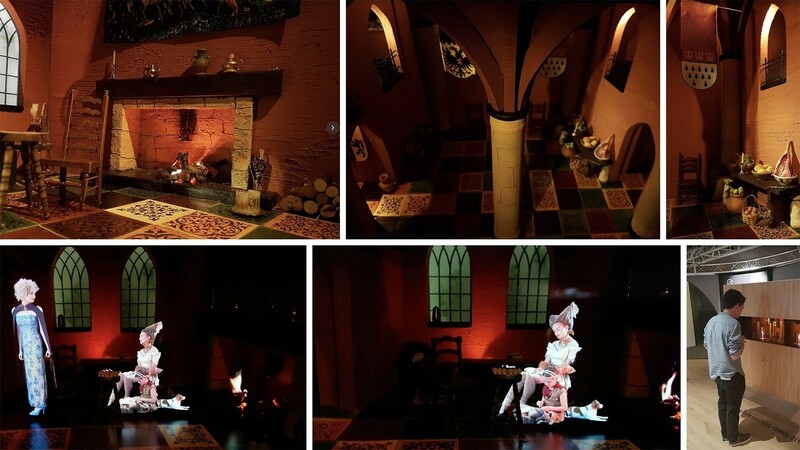 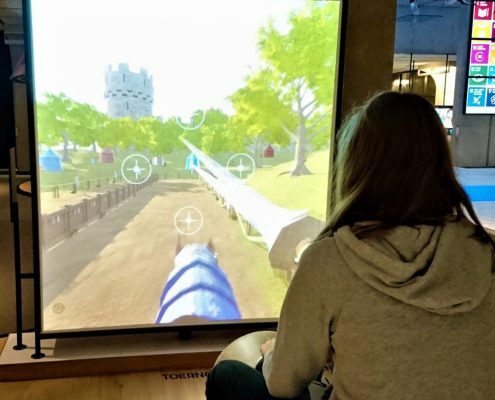 You can experience medieval court dancing through an interactive Kinect application, compose your own medieval music with digital means and practice your jousting skills in a 3D rendered environment. 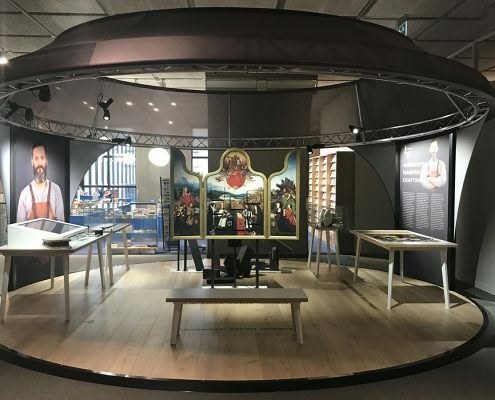 Through contemporary photography using real people, an unusual colour palette and modern furniture design, the exhibition connects with the world of today in a fresh, bright and modern way. 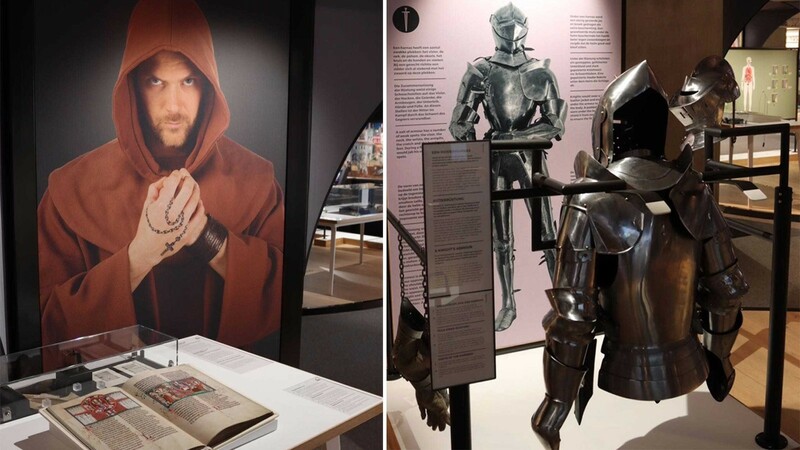 The exhibition moves away from the dark and gloomy image of the Middle Ages. 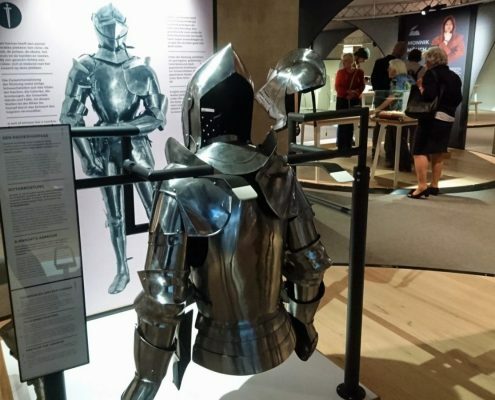 It shows that people’s lives back then were actually quite similar to how we are experiencing life in the 21st century. 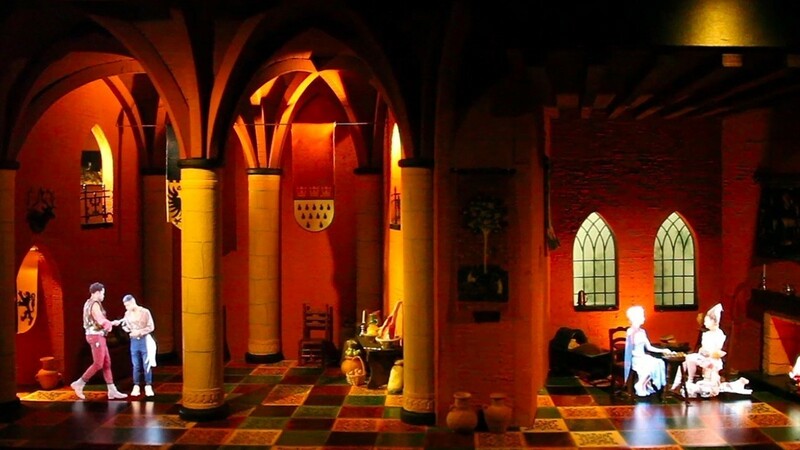 They too wanted to have a good life and enjoy themselves. 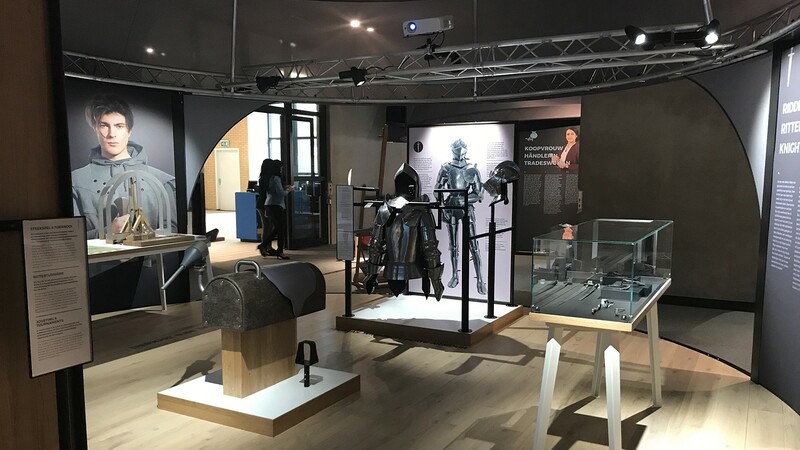 The exhibition Knights and Castles has been produced and co-funded by Bruns. 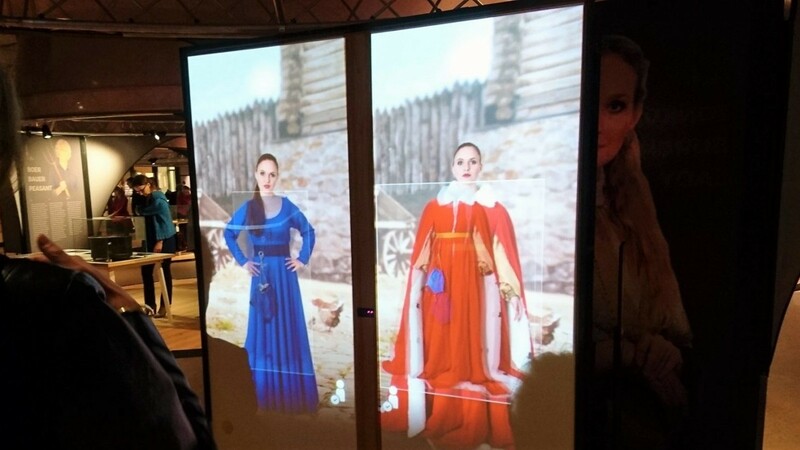 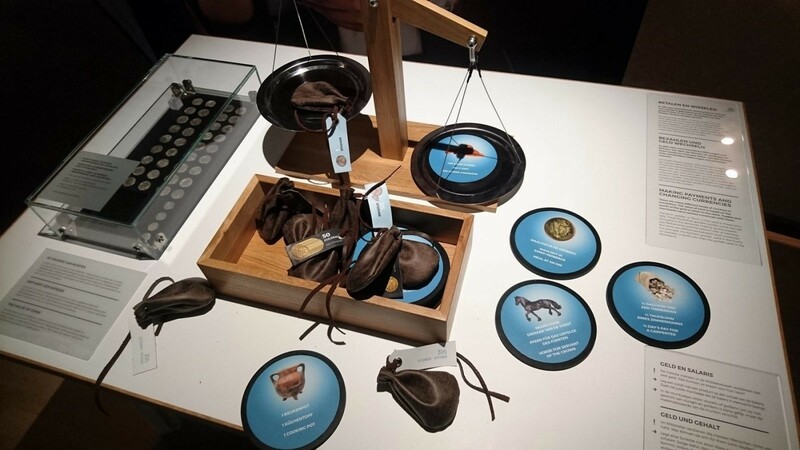 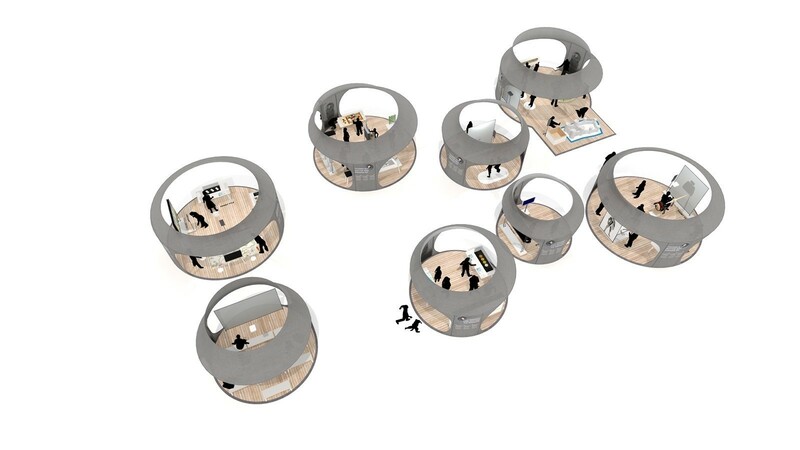 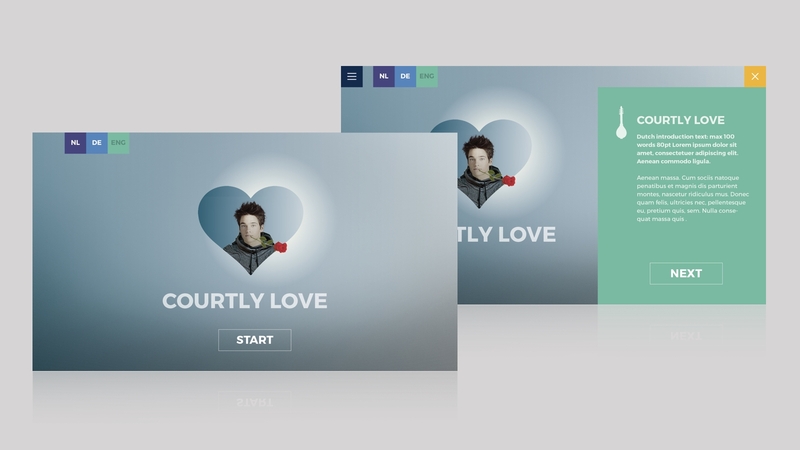 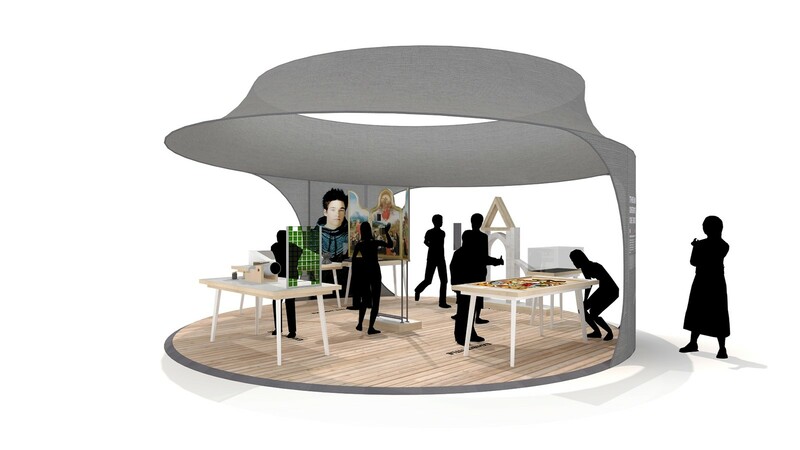 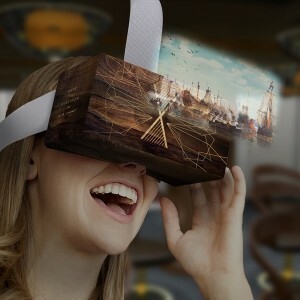 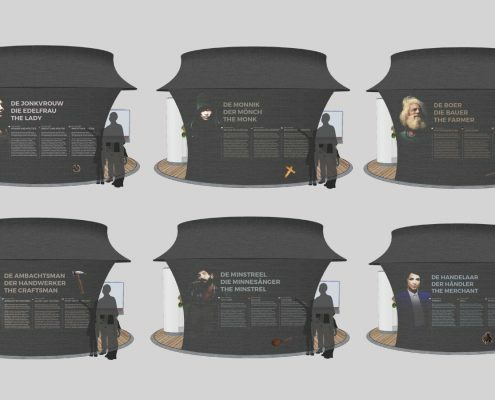 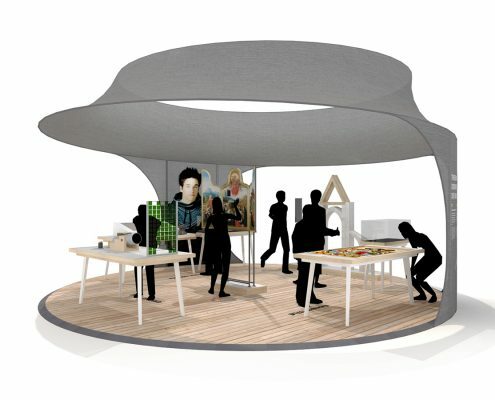 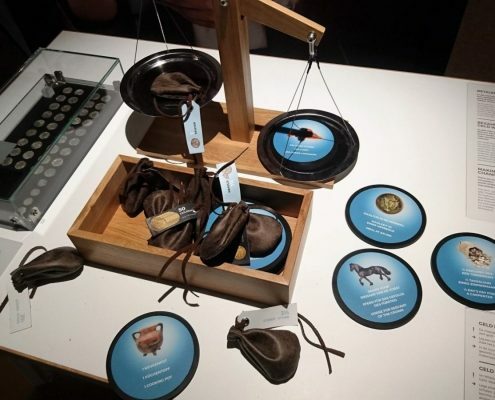 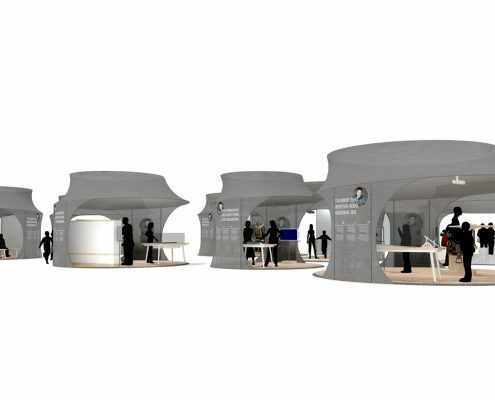 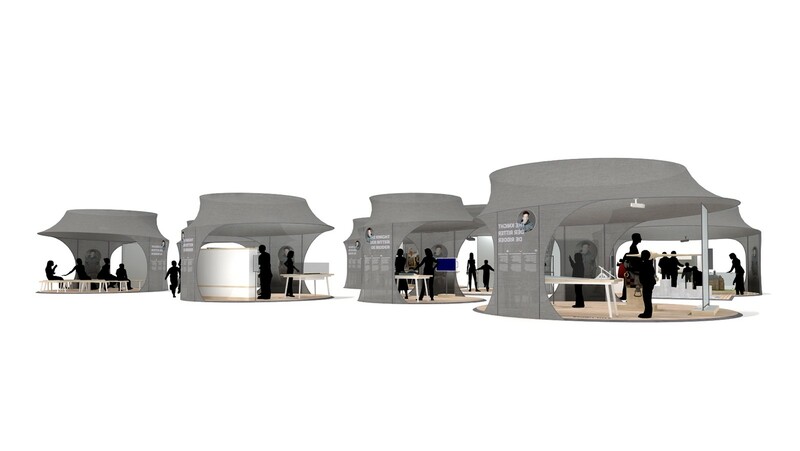 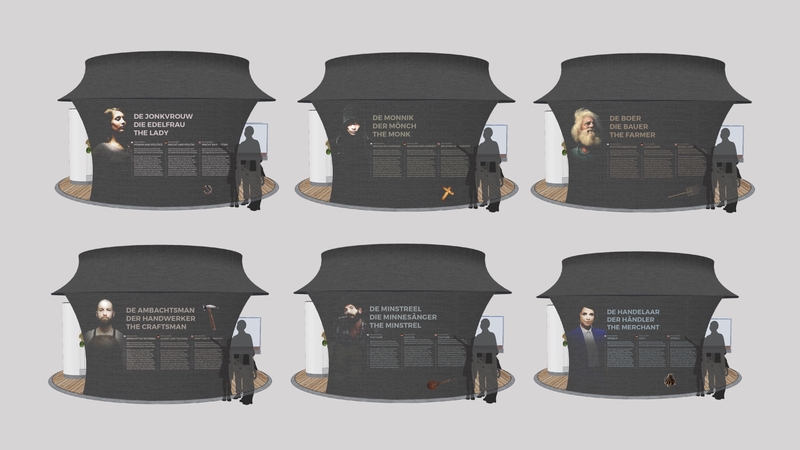 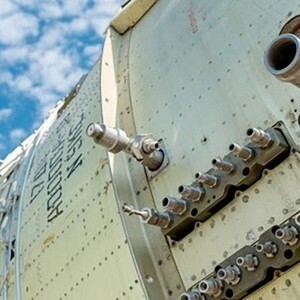 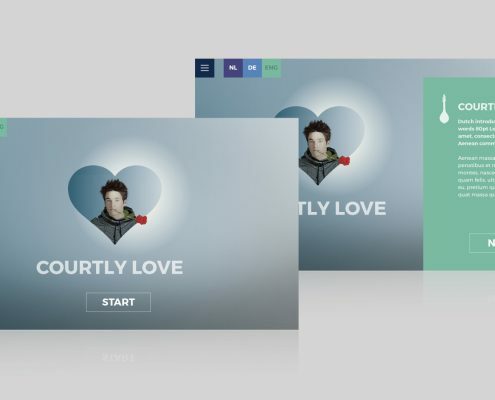 The innovative interactive media were produced by YiPP.